"LOVE. DESTINY. HEROES. War Changes Everything." 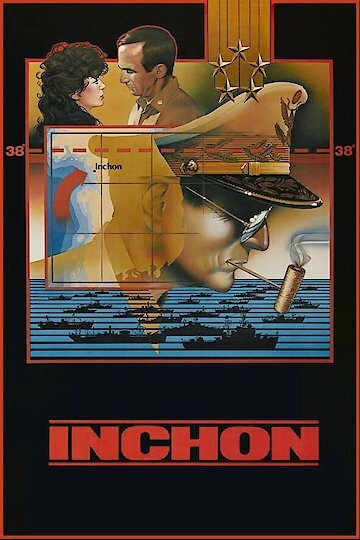 "Inchon" (1981) is a South Korean - American movie about the Battle of Inchon, a major battle of the Korean War. It took place September 15 - 19, 1950. General Douglas MacArthur led the US amphibious landing at Inchon to repel an invasion by the North Koreans. The film adds subplots to the story. For example, an Army major's wife protects a group of South Korean children. A married Army major tries to break off his affair with a South Korean woman -- but they end up having to work together to get a lighthouse running so they can signal US ships in the area.